You never know who’s dating who now a days! Yesterday, Lil Durk and Dej Loaf continued to feul rumors with the release of their new collaboration “My Beyonce”. On the track, the duo pay homage to Queen Bey as they spit verses proclaiming love for each other. “I like the way she move, shawty my baby, she everything, she the truth … Shawty my Beyoncé,” sings an Auto-Tuned Durk, while DeJ claims she’s ready to settle down, “Durk and DeJ, I’m thinking of changing my last name.” While the couple may be random, they sound and perhaps look good together! What do you think? Currently both Lil Durk’s and Dej Loaf are preparing new music for release very soon. 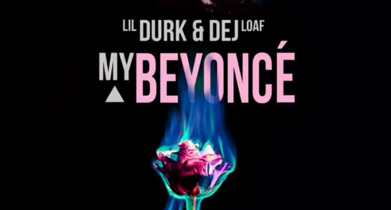 Check out Lil Durk’s “My Beyonce” featuring Dej Loaf below!